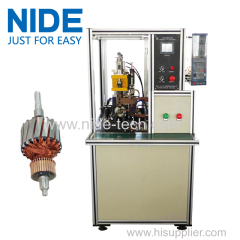 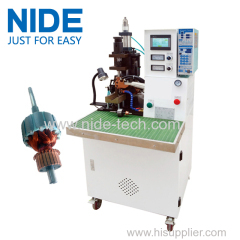 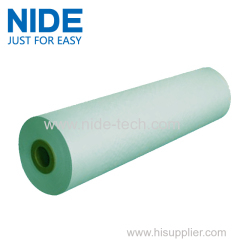 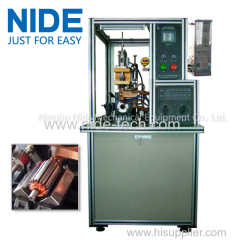 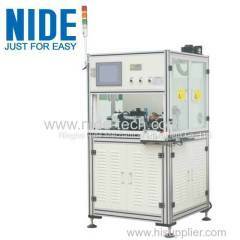 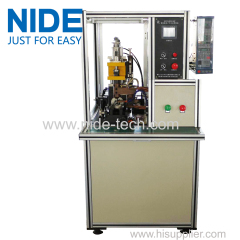 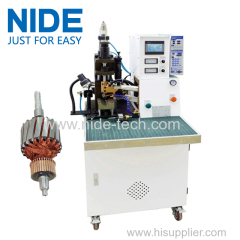 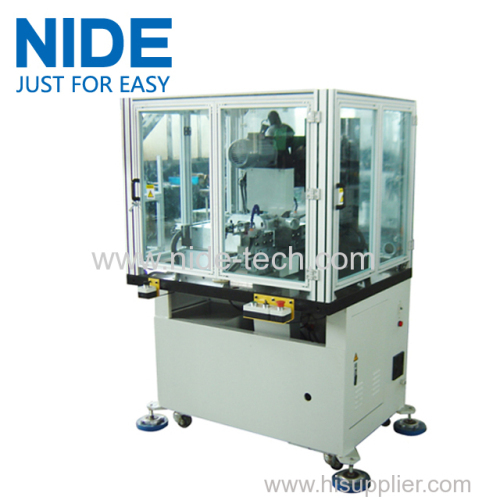 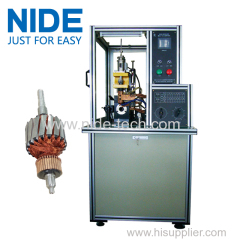 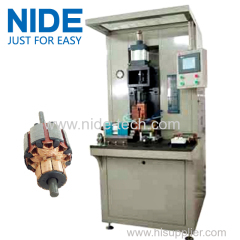 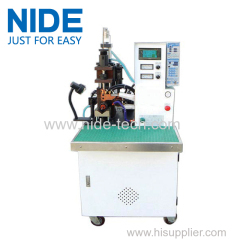 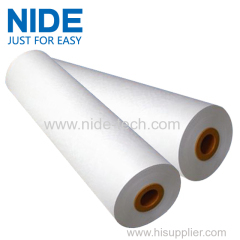 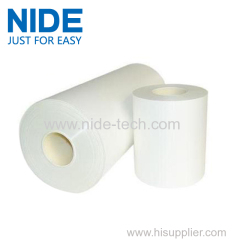 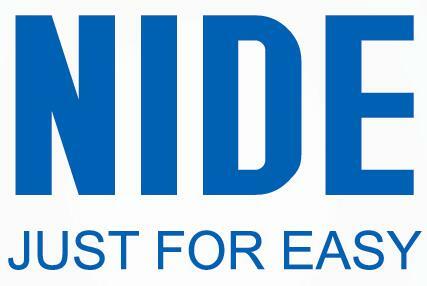 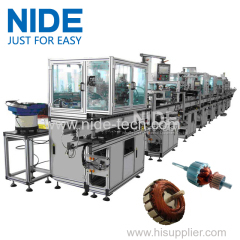 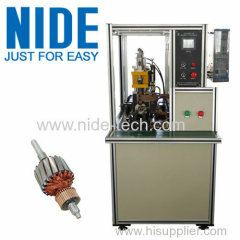 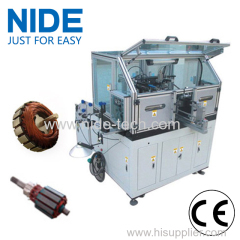 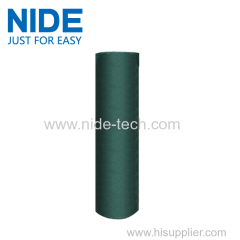 Automatic rotor commutator fusing machine from China manufacturer - Ningbo Nide Mechanical Equipment Co., Ltd. 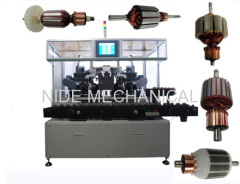 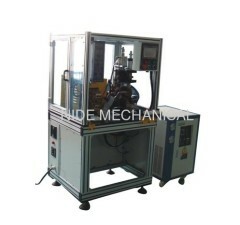 This type of Commutator fusing machine is used to fuse the rotor commutator hook. 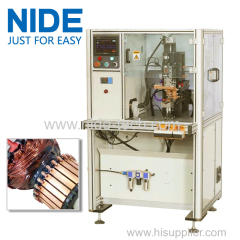 The commutator fusing Machine is controlled by the welding powder. 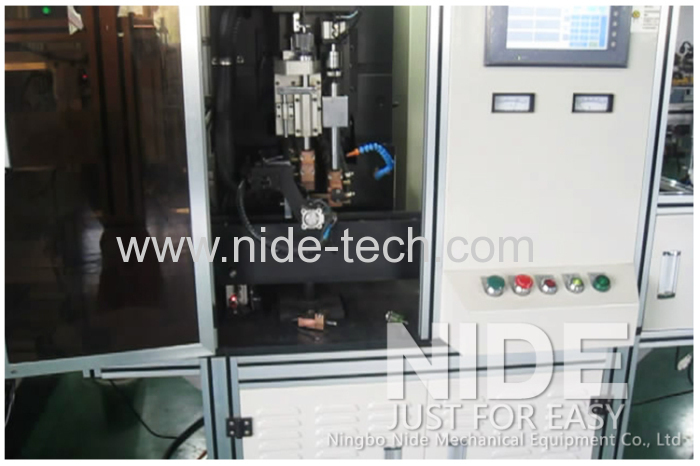 All the related parameter can be programmed in the touch screen, such as hook number, fusing time, indexing number, pressing time and ect. 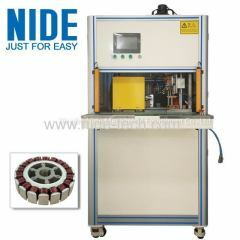 The Automatic rotor commutator fusing machine has cooling system to cool down the commutator after its fusing process. 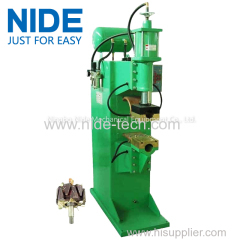 It can weld both riser and hook type commutator. 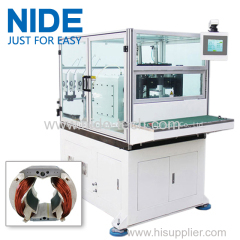 There are four power control method, namely secondary constant current, secondary constant voltage secondary constant frequency. 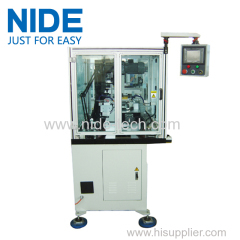 This machine can automatically fuse, and operator only need to load and unload rotor.